Boston Pride is excited to announce a new partnership with Big Night Entertainment Group to bring you a series of events at their Boston venues, leading up to Boston Pride Week 2018. 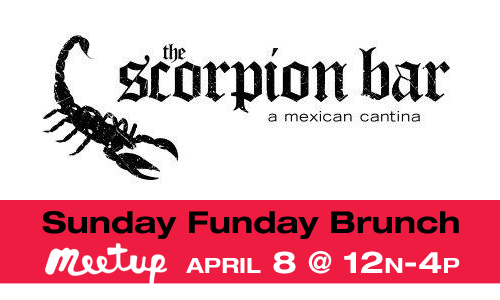 Join us on Sunday April 8th, from 12noon to 4pm, for our monthly meet-up at Scorpion Bar (58 Seaport Blvd, Boston, MA), one of the hottest new nightlife spots in the Seaport district. Featuring delicious Mexican brunch dishes and plenty of mimosas and margaritas, this first event promises a new take on Sunday brunch! Afterward, stick around for Scorpion Day Club, and enjoy a live DJ performance and dancing, as the rainbow takes over the Seaport. This will be one hot Sunday Funday you won’t want to miss. See you there!